Rheumatology Practice in Occupational Therapy is a valuable new handbook focusing on the core area of rheumatology. 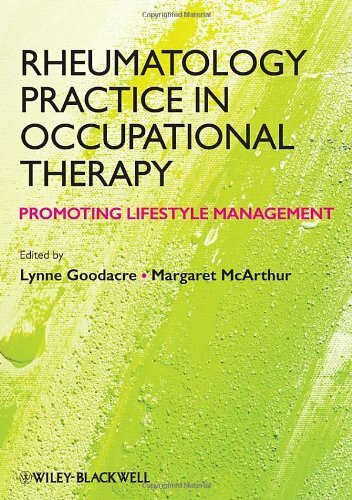 It provides practical guidance to help occupational therapists treat and manage rheumatic disease in both clinical and community settings and emphasizes a contemporary ‘client-centred’ approach as a fundamental requirement of effective and rewarding OT practice. 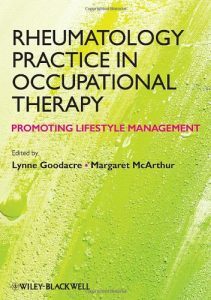 Drawing upon personal, clinical and theoretical perspectives, it equips the reader with an understanding not only of relevant practical skills but of the clinical reasoning required to modify and apply these skills to the needs of individual people. Rheumatic inflammatory diseases represent a steadily increasing group of disorders that have considerable social impact through affected patients’ worsening quality of life and require engagement in the health field. Among these, rheumatoid arthritis stands as the most frequent pathology, and the hand is the most typical affected area. The incidence of rheumatic arthritis, as indicated by recent epidemiological studies, is bound to undergo a further significant increase in the future. 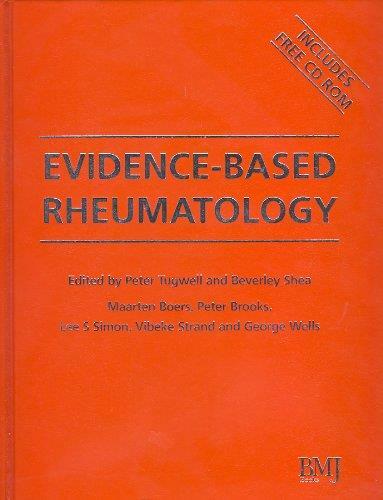 There is, therefore, a need for careful diagnosis of the disease, based on clinical criteria designed by the American College of Rheumatology and Diagnostic Imaging. The latter provides an objective assessment of the extent and severity of joint involvement.Rheumatoid Hand includes 25 tables of clinical and radiological cases. 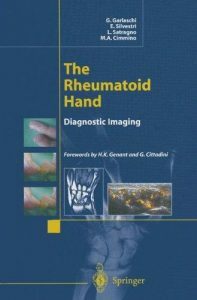 The text analyses the capability of diagnostic imaging (conventional radiology, ultrasonography and magnetic resonance) to identify the early stages and the activity of disease, allowing the rheumatologist to decide on an effective therapeutic plan. The Oxford Handbook of Rheumatology, 4th edition has been fully reviewed and updated to make it into an invaluable guide for students, trainees, consultant rheumatologists, and everyone caring for patients with musculoskeletal disease. With the addition of a paediatric rheumatologist to the editor team, this new edition is a fully functional rheumatology handbook for patients from childhood to adulthood. Practically structured, the handbook focuses first on presenting symptoms and then considers key diseases, emergencies, and rare diseases in detail. There is a comprehensive and updated account of assessment, guidelines, and treatment options. The text has been condensed with bullet points and summary boxes so the reader can focus on the essential information. To aid understanding over half of the images have been updated and the colour plate section has been expanded. Taking a clinical, evidence-based approach, written by experts, and presented in a clear, practical, bullet-point style for rapid reference, this handbook will be your constant companion and a joy to use. 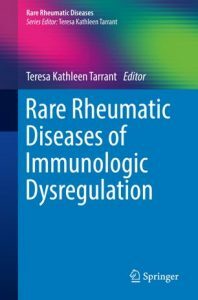 This book is a practical, user-friendly guide for diagnosing and treating patients with rare rheumatic diseases of immunologic dysregulation. Covering uncommon diseases such as IgG4-Related Disease, Castleman’s Disease, and Felty Syndrome, chapters aggregate information from case reports and anecdotal literature to create a single, comprehensive handbook for treating patients. 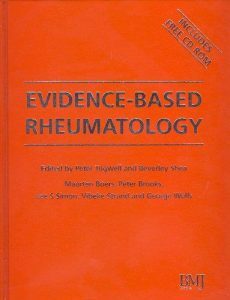 Each chapter provides historical perspective and epidemiology; a literature review (including research trials, translational research, historical and current case reports, and case series); pathogenesis; clinical presentation; laboratory evaluation; imaging; histopathology; treatment; and outcomes. 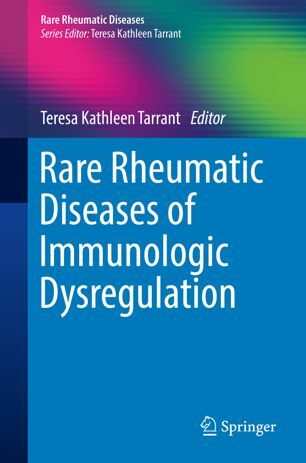 Rare Rheumatic Diseases of Immunologic Dysregulation is an invaluable resource for rheumatologists, rheumatology fellows, and clinical immunologists to better diagnose and treat patients with rare rheumatic diseases. 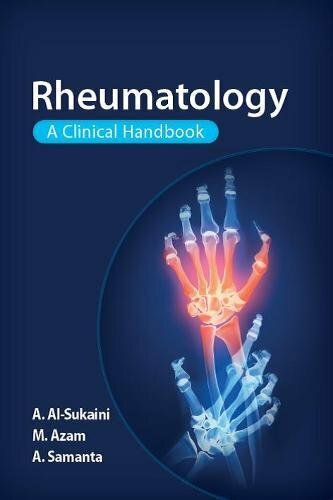 Rheumatology: A clinical handbook is an essential resource for medical students who need an introduction, understanding and overview of the subject. 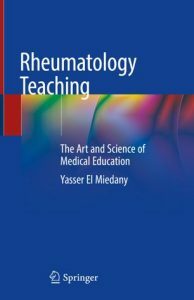 Most competing texts either burden medical students with information they do not require, or cover rheumatology alongside orthopaedics and as a result compromise fundamentals of rheumatology. 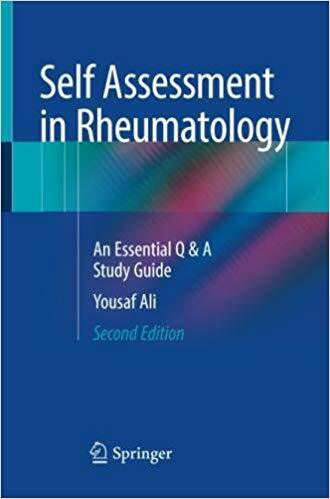 This book is different it provides all the information students need during their rheumatology placement and signposts them to where they can find further information. A definition and brief pathophysiology for each condition is provided, which is linked to the respective clinical features. The book covers the core elements of diagnosis and treatment based on the latest national guidelines to swiftly bring students and junior doctors in training up-to-date. Self-assessment questions and an OSCE chapter provide a way of checking that users have understood and grasped the core material, as well as enabling students to be well equipped for their written and OSCE examinations. 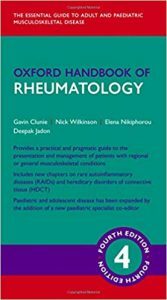 Written by two medical students and an experienced consultant rheumatologist, the book combines a reader-friendly writing style with coverage of the material through clinical experience of a professional in the field. 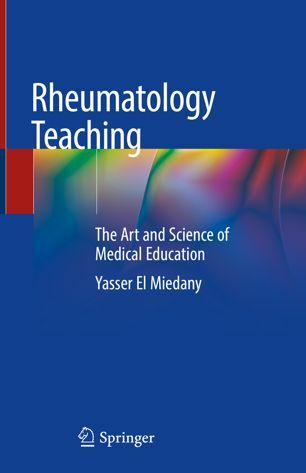 Printed in full colour throughout, with an attractive design, a clear and concise writing style as well as a range of pedagogical features including an array of mnemonics, pictures and diagrams, Rheumatology: A clinical handbook is exactly the sort of book medical students and newly qualified doctors would benefit from. This practical study guide illustrates a variety of different scenarios of rheumatic disease in succinct question and answer format. It contains 120 complex cases with potentially unusual diagnoses designed to stimulate thought and further reading in this rapidly evolving specialty. The questions demonstrate both common and uncommon rheumatologic conditions that may be encountered on ward rounds or in clinic by using radiographs, pictures, and skin findings. 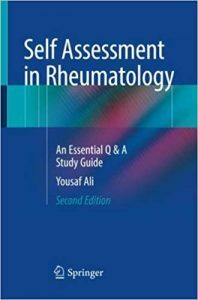 Each case is based on a real-life diagnostic situation encountered by the author from his two decades of experience working in a busy consultative practice.Self Assessment in Rheumatology: An Essential Q & A Study Guide, Second Edition is an essential resource for students, postgraduate fellows, internists, and practicing physicians eager to learn more about rheumatology, test their fund of knowledge, or prepare for board examinations. Targeted therapies of rheumatic diseases have become a reality and have completely changed patient care as well as patient expectations. Initial success with therapies aimed at blocking TNF and IL-1 has stimulated the development of additional targeted approaches focused on other cytokines as well as specific cells and pathways involved in the pathogenesis of rheumatic diseases.Along with the clinical success of some of these targeted approaches, new information has been generated from their application concerning the pathophysiologic mechanisms underlying rheumatic diseases and, as a result, new targets have been identified.The ongoing dialogue between basic scientists, clinical investigators, metrologists and clinicians remains an essential component for the further development, refinement, integration and optimization of targeted therapies of the rheumatic diseases. The goal of this volume is to provide comprehensive, up to date information on all aspects of the rapidly evolving development of targeted therapies of the rheumatic diseases to foster further advances to improve therapy of patients with these conditions. 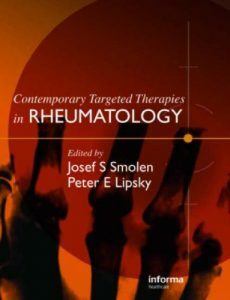 Targeted Therapies in Rheumatology established itself as an excellent reference for all those needing to know about the clinical implications of new drugs and developments for patients suffering from rheumatoid arthritis. This volume takes up the further developments that have occurred in several of the drug therapies covered in the first volume, as well as looking at the latest areas of promising research.